Yelp and Strathmore Music Hall! Just saw this nice review for the music and events of Strathmore Music Hall. What acts/ performances have you seen recently at that venue? Just a little addition to our previous post re. Sunday’s book signing at Bethesda Central Farm Market: Bethesda Central Farm Market is located at 7600 Arlington Blvd. at Old Georgetown Road Bethesda, MD 20814. The event takes place Sunday from 10am-12:30pm. Westmooreland Berry Farm and Orchard: Cherries and Biodegradable Bags! Where to Watch England v Ireland in Bethesda? For the soccer fans among you, today features a number of high profile “friendly” games. One of them is the England v Ireland game which kicks off this afternoon. If you are interested in catching the game, one good option could be to visit our friends at the Harp and Fiddle in old Bethesda. They have lots of nice pub grub on the menu and today could be a good day (for those over 21) to have a nice cold beer (just don’t drink and drive!). If you do make it to the game, and fancy leaving periodic updates in the comments section here that would be appreciated! The whole article is certainly worth a read! Rock Bottom Bethesda Tapping of “Summer Ale” Tomorrow 7pm! Summer Ale is light amber in color with a light body. It has a pound and a half of hops per barrel. All the hops are loaded in the back end: toward the end of boil, post boil, and post fermentation. Bright citrus and floral hop notes dominate the aroma and flavor. You’ll be expecting that mouth puckering bitterness to follow, but, it doesn’t. It finishes with light caramel malt sweetness with just a little bitterness to balance. It is a unique and interesting. I hope you enjoy this first of the summer time beers. Just wanted to remind you that on Oct 5th 2001 Bethesda Green will be holding their Second Annual Gala recognizing Bethesda Magazine‘s Green Award Winners. 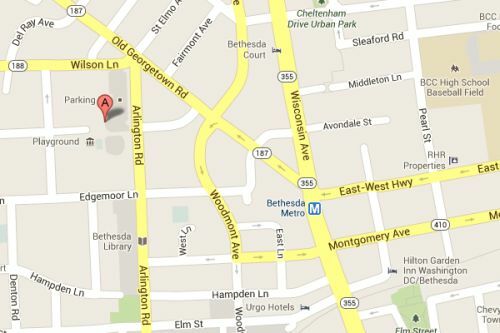 The event will be at the Round House Theatre in Bethesda! Join us at Caddies on Cordell May 5, 5-8 pm, 4922 Cordell Avenue in Bethesda for casual conversation and social networking. We’ll be on the second floor. Learn about upcoming events and activities, including our May 7 Fields of Green Internship Fair and Greening Condos workshop series. You’ll also have a chance to meet and hear from event sponsors Electric Advisors. $14/$17 buckets of bottled beer all night long. Caddies will also contribute 15 percent of sales to Bethesda Green. Crosby and Nash at Strathmore this Evening! Friends, don’t forget that Crosby and Nash are performing at the Strathmore Music Center this evening. Of course, news of such a cool event reminds me of how wonderful it will be for the residents of Symphony Park to stroll to such concerts in the future and to take advantage of the special relationship with Strathmore. Key details for this evening: Strathmore, 5301 Tuckerman Lane, North Bethesda. Tickets are $35 to $125. Call 301-581-5100 or visit strathmore.org.